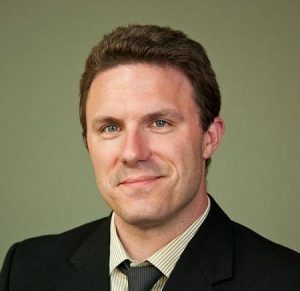 Jason Brennan is the Robert J. and Elizabeth Flanagan Family Professor of Strategy, Economics, Ethics, and Public Policy at the McDonough School of Business at Georgetown University. Concurrent with his position at Georgetown, he is Research Professor at the University of Arizona’s Freedom Center and Department of Political Economy and Moral Science. He received his Ph.D. in 2007 from the University of Arizona. He is the author of nine books, including When All Else Fails: The Ethics of Resistance to State Injustice (2018); In Defense of Openness: Why Global Freedom Is the Humane Solution to Global Poverty (2018), with Bas van der Vossen; Against Democracy (2016); and Libertarianism: What Everyone Needs to Know (2012). His books have been translated sixteen times, into Mandarin, Spanish, Japanese, Portuguese, Turkish, German, Italian, Polish, Greek, Mongolian, and Swedish. He has published papers in numerous journals of philosophy and ethics and contributed op-eds to the Washington Post, Newsweek, the New York Times, and other popular outlets. Professor Molina’s work lies at the intersections of race, gender, culture, and citizenship. She is the author of two award winning books: Fit to be Citizens? Public Health and Race in Los Angeles, 1879-1939 (2006), and How Race Is Made in America: Immigration, Citizenship, and the Historical Power of Racial Scripts (2014). With the support of a National Endowment for the Humanities Public Scholar Fellowship, she is expanding her award-winning article, “The Importance of Place and Place-makers in the Life of a Los Angeles Community: What Gentrification Erases from Echo Park” into a book. Professor Molina has served as the Associate Vice Chancellor for Faculty Diversity and Equity at the University of California at San Diego, twice as the Associate Dean for Arts and Humanities and before that as the Director for University of California Education Abroad Program in Granada, Córdoba, and Cádiz, Spain. 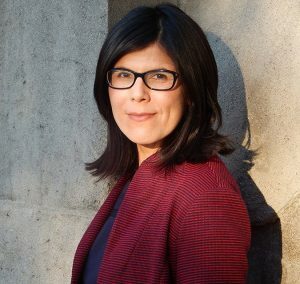 She is on the Faculty Advisory Committee for the University of California’s President’s Postdoctoral Fellowship Program and is a Distinguished Lecturer for the Organization of American Historians. She recently concluded a six-year term on the board of California Humanities, a non-profit partner of the National Endowment for the Humanities. Jan C. Ting is Professor of Law at the Temple University Beasley School of Law in Philadelphia, Pennsylvania. Professor Ting joined the faculty of law in 1977, and teaches in the areas of citizenship and immigration law and tax law. In 2015 he received the Provost’s Outstanding Faculty Service Award and in 2016 the Temple Law Alumni Association presented him with the Murray H. Shusterman Award for Excellence in Teaching. He is a graduate of Harvard Law School and Oberlin College, where he majored in history, and received an M.A. degree in Asian Studies from the East-West Center of the University of Hawaii. 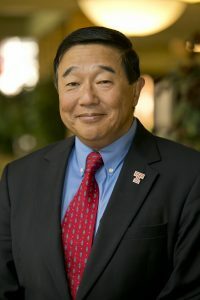 Professor Ting also served as Assistant Commissioner of the Immigration and Naturalization Service of the U.S. Department of Justice in Washington, D.C. from 1990 to 1993, where he received the Executive Management Team Leadership Award, and he is currently on the board of directors of the Center for Immigration Studies. He has provided commentary for the PBS News Hour and National Public Radio, and is a frequent panelist on the public affairs program “Inside Story” on Channel 6-ABC in Philadelphia. He has been invited several times to present testimony to the Judiciary and other Committees of the U.S. Senate and U.S. House of Representatives.